Man’s life, the greatest mystery of all, is being revealed and hidden in front of our eyes every second. Most people don’t see a thing… they don’t comprehend, don’t realize. Only the very few manage to catch the glimpse of insight and higher knowledge, that is mostly due to merits they gained from long term exhausting self-improvement, together with blessings and grace of the Masters and Traditions they belong. Since ancient times, Masters have only one mission to which they sacrifice everything – liberation of people from the enslavement of the illusion. There are lots of Masters that walk this world, and even more so that don’t walk, but watch over it. There are a lot of traditions that these Masters belong to, but there’s only one Ocean as a source of them all, to which they all flow into. Dattatreya, Nath and Kriya traditions belong to the highest and most ancient Golden Tradition whose existence has only one purpose – Liberation. They are the origin of the greatest Masters that have ever walked this world, and who selflessly spread sacred initiations and knowledge to those who are ready to implement them in their struggle for liberation. With God’s grace, as well as the blessings of Dattatreya, Nath and Kriya traditions, it was my faith to be initiated into one of the holiest techniques leading to liberation. Consciousness Kriya belongs to an advanced type of spiritual practice that has as its main goal the work on Kundalini energy. Mohanji, a spiritual Master who received this sacred knowledge along with the permission to share it with eligible disciples, says that Consciousness Kriya is somewhat like a rocket. Its efficiency and power to launch you into spiritual heights is incredible. 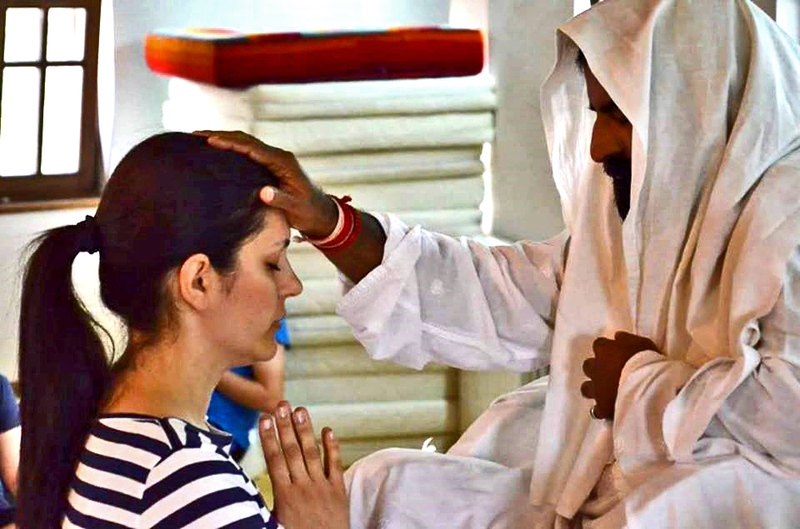 My personal karma wanted me to receive this holy knowledge in Rishikesh, India, in 2014, with the first group of initiates. My energetic system at that time was still unstable and changeable. Consciousness Kriya technique seemed so simple, and yet so compact and complex, and it felt to me it was the missing link I needed in my spiritual progress. In the beginning, it was hard to stay focused on energy movements and guided breathing processes. More often than not, sensations and attention would go their separate ways. Even so, I was persistent and worked hard every day continuously. First shifts were evident after barely a month. Energy channel within the spine became passable, and I could clearly feel the movement of energy. I was feeling strong activations of Bindu and Ayna chakras, but the crown was still shaky and unstable. After a couple of months of practising, crown chakra too became very active. Numerous activations of energy and spiritual experiences followed. Sometimes intensive experiences simply went one after another, and sometimes long periods of stagnation would test my patience and steadiness. Even when I’d come to terms with the fact that I’m no longer making progress, I’d continue practising. Crazy determination and discipline are maybe the two most needed qualities during the periods of stagnation. Practice for the sake of practising, practice as a routine, practice as the way of life, without thinking about the results, effects, sensations, experiences… Just doing it, just flowing, without thinking. Shakti loves it. Kundalini adores it. Once awakened, it itself calls you. She doesn’t allow you to stop, she makes you tickle her and raise her. Just when I had lulled myself into a nonchalant Kriya practice, there’d come a round of blasted experiences burning everything in sight. Eruptions and cataclysms, visions and insights, long term cleansing and falls, long crying and sobbing, periods of unconditional love and purity were changing places with agonies of sorrow and senselessness. Destruction and creation were taking place within me, in my being. They were tearing me to pieces, then putting me back together. What a rocket this is, dear Master. Thank you for launching us on it. After the first year of practice, I started experiencing spontaneous Kriyas, without any use of procedures and techniques I was taught through initiation. Shakti was dancing by itself in my spine. Then I noticed an interesting thing: at the time when I used to do my practice, Kundalini would activate by itself, reminding me, like an alarm clock, that it’s time to wake up. If by any chance I’d skip my Kriya scheduled time during the day, Shakti would activate by itself, and I’d dance with her spontaneously, without any preparation. Crown chakra became stable and almost always active. I was managing to maintain vertical breathing through most part of the day, no matter where I’d be. Surely there were periods of downfalls, but they’d only make me elevate higher afterwards. Shakti was awakened and active. Rocket was doing its job on autopilot. What a wonderful ride. Just when you’re used to a certain level attained through practice, an even bigger cataclysm first tears down all you’ve gained, and then it elevates you to a new, by far more stable level. After two years of practising, I stopped being surprised. I know what Shakti is like. I love her and adore her. My personality is her slave, my consciousness her master. Sometimes a wild girl, sometimes a caring mother, she always gives me what I need. Now, after two years of hard work, in a simple and spontaneous manner I was fully revealed the meaning of a spiritual practice under the name of Consciousness Kriya . Consciousness Kriya is an extremely advanced spiritual technique obtained through initiation by Enlightened Master. For that reason, the process of its performance cannot be shared with public. What can be said is that it is a technique that combines mantras, visualizations, special body posture, and several specific breathing techniques. Each segment has its own order of execution and duration. During the performance of each one of these segments, disciple goes through certain states and achieves effects that ultimately lead to a rounded and complete end result. During one of those performances of Consciousness Kriya , I experienced fully the meaning behind each of these segments, which the Master didn’t reveal in the initiation nor when giving further instructions. First segment of Consciousness Kriya (mantra) represents the condition of being in Divine state of consciousness from which we all came from. It is the source of us all. The second segment of Consciousness Kriya (downward breathing) represents the decent of our soul from the Divine state into material body. The third segment of practice (horizontal breathing) represents common life of man. The fourth segment of practice (breathing upwards) represents reascension to Divine state of consciousness from which we came from. Therefore, the whole process of Consciousness Kriya practice represents one entire life cycle! When performing one Kriya, we are actually going through one life in a small scale. By performing hundreds of Kriyas, we are going through hundreds of little lives, and thus our karma is speeded up, burned and dissolved. That is why our Master used the word ‘rocket’ when describing this technique. Through Consciousness Kriya , we are capable of accelerating our spiritual evolution for thousands, or even millions of lives that lie ahead of us. I wonder, with a smile, what could be revealed after five years of practice? Last year, I had attended a Satsang in Skoplje, very spontaneously and without any expectations. If you ask me now, I remember that experience like a dream. I am not sure how I found out about the event, but I remember that a really strong feeling pushed me towards it. For the first time in my life I had the feeling that I knew nothing, though I had spent years of reading and learning about spirituality. I was speechless, I felt like all my knowledge was breaking into a thousand pieces and I was sitting in front of him like a child who sees a Teacher for the first time. I was blessed with Shaktipat and went home. 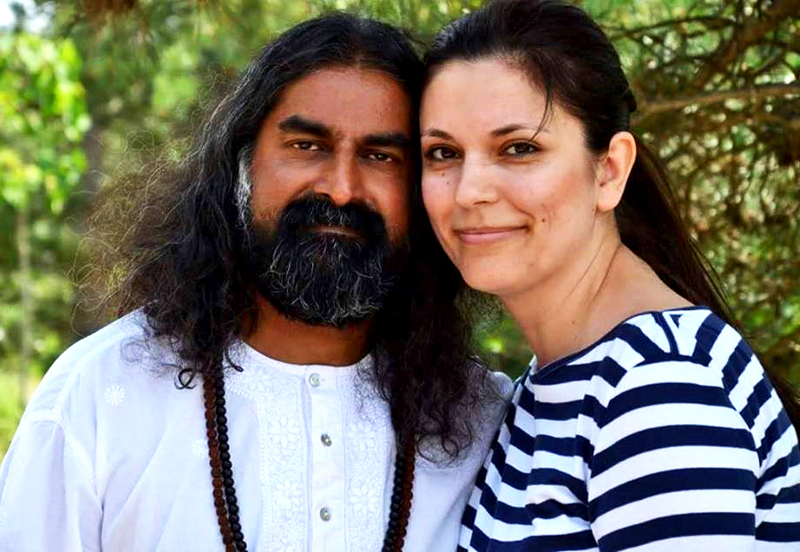 A year later, I found myself at the ‘’Alexander the Great’’ airport with my friend Mohana Hanumatananda (Zoran, before he got his spiritual name) awaiting Mohanji and Devi, impatient and with a smile on our faces, like children expecting their father to come. One year had passed, a year full of personal transformation. I had said goodbye to many concepts, people, rituals… a period in which many masks had fallen. I felt more vulnerable yet at the same time determined that there is only one way to the soul and it begins here and now before His Grace. I had often read about different experiences and miracles that people experienced in the presence of Mohanji, but for me the biggest miracle and gift was the chance to be in the presence of a Living Master. For seven days I had the opportunity to be with Mohanji looking after his travel arrangements and stay in Macedonia to ensure it was comfortable and pleasant. I often received questions from people like, ‘’Do we talk?’’, ’’What is Mohanji like when he is not in front of people?’’, “What does he like?’’, ‘’What are his demands?’’ etc. Mohanji is a simple, humble, quiet man, full of understanding and compassion, dedicated to his mission day and night. Every day, he would use every available moment to reply to numerous messages he would receive from people without showing any fatigue. Therefore, I kept quiet most of the time until he asked me. For me it meant EVERYTHING that I had the opportunity to be next to him and to help organize the events and create a better atmosphere. Nothing I did or said could show how grateful I was. It was wonderful to see myself without ego, identity, false masks. I was in a state of Pure Love. I felt a deep pure love for the Master and for everything that surrounded me. I was quiet all day; I didn’t have a need for conversation. The only important thing for me was being in his shadow, waiting for an opportunity to be useful. After returning to Skopje we organized wonderful meetings with all who waited to meet Mohanji and were unable to attend the weekend retreat. During the first Satsang, Mohanji talked about the evolutionary process of humankind, and the second Satsang was dedicated to all women, mothers and their role in the process of educating new generations. With admiration and full attention I listened to every word he said, conscious about our connection… He also gave answers to many questions unasked removing all dilemmas and touching every heart present. Seven miraculous days passed as if in one moment… His influence was everywhere and one thing was sure – nothing was going to be the same again. With tears we waved goodbye at the airport, but also with a promise to ourselves that we would give everything to keep this blessed condition as long as possible. One day I woke up with a strange feeling. His eyes lightened my morning. His words made the best morning melody. What was that?! Was that a dream? Many students and I went into some room and there was him. A black man with curly hair which was falling on his shoulders. He had a beard and was clothed in white. He was supposed to teach us some melody, and started to sing. “Oh, I know this song! I told him. Then, he looked at me and our eyes met. He had big dark eyes and a deep look, as if all the answers were in his look. A source of the truth! I felt as if there was something he wanted to tell me. When the students went out of the room, we stayed there. We were staring at each other and we couldn’t stop that. He said to me, “EVERY TIME WHEN I LOOK MYSELF INTO THE MIRROR I SEE YOU.” I was confused. What did he want to tell me? Who was this man? 3 years later, one of my friends told me about some good meditation. In the meantime, I was going to many different meditation places, and I couldn’t find myself. They were replacing the spirituality with a business. They were looking at me as af I was a box of money. Oh, no! What a disappointment! I was looking for something more. And I knew that it exists but I was disappointed. However, I decided to visit that place whose name was “Mohanji Center”. After the first meditation I felt a difference. Finally something good. Also, it was for free and there was only a box for donation. I didn’t know anything about Mohanji, I didn’t even know who he was but I knew that his meditation was working and that every day I was feeling better. After a few months they said that he would come. I couldn’t wait to see him. On 26th June 2016 we went to Tatyana and Zlate’s home to wait for Mohanji. I was excited and I was wearing sari J. While we were waiting for him to show up, I heard a voice. I ran outside and there was him. A black man with curly hair, which was falling on his shoulders. He had a beard and was clothed in white. He had big dark eyes and a deep look, as if all the answers were in it. A source of the truth! We embraced each other as if we know each other whole life. It was the most beautiful hug ever! Since I met him the fear has disappeared from my life. Everything has changed. And I’m so thankful to him…to my Guru who I was looking for all my life. You Don’t Want to Hug me? Already tired enough, trying to reach all places I have planned to, feeling the beginning of a sickness as my throat is already soar (No, I am not taking medicines, I had enough toxins and chemistry within my body over the years, this time it’s a NO). It feels like I cannot wait to meet Mohanji, I want to RUN towards him, NOT WAIT to experience his presence. He is here, in front of me, in front of our eyes. Love is all over the place J…and I spread my my emotions all over, as they are usually over present in me. Therefore I spread them all over, to each soul that I find pleasant. I can possibly do that any moment, to show how I am a clean and a beautiful emotional being… but why? I could feel the answer by being in Mohanji’s presence. He does not shower everyone with attention, laughter, free hugs and such drama. He has got such a pure soul and a strong presence shining inside out. That is all I can feel and it is a beyond-words-experience for all of us most probably. Well now I understand why. He appeared in this life time to show me another way of being, another way of showing love and attention without the necessary “forced love giving” I am so prone to do. As we were walking in nature, I hugged Shanti. And then suddenly I could hear Mohanji behind my back saying: You do not want to hug me? Roger came with me to the retreat see who Mohanji actually is. And of course he wanted to be there, too. We are back in Skopje. Suddenly I feel such a wall around me. I feel like I am on such a high and protected place that actually no one and nothing can touch me. It feels very powerful. I feel extraordinary safe. It feels like there is a shield around me that no one can break through. There is a strong barrier of protection at a place where I myself could not establish one for quite some time. I can feel an added power around me, someone or something is protecting me. Suddenly my words are sharp and straightforward, my emotions are very balanced. A new phase in life has just begun. Another transformation, a bonding with my inner strength and a bonding with everything around me. I feel my own self, a sense of worth; I feel how much validation I need from myself and others. No more than this, yet not less than I want to be valued and appreciated. I do not and will not compromise the value of self. I matter. The words come out sharp and aligned with exactly how I think and feel. They do not hurt anyone but they get to the point I want to prove. I feel more love towards myself, I feel freedom, I can see a vision and a renewed strength. I carry on with life, but it feels like I am at the very beginning of it. I feel that kind of freshness and sharpness of vision and mind. This beginning does not push me back to the past, as beginnings used to do so for me. I can finally feel a sense of bravery within me, step by step, and with certainty I face the uncertain future. I can see the final destination, yet I do not see an end… I am overexcited for my liberation, for the future of self. Ready to face all challenges, ready for this life and it’s already set up games.